We are working with Avast and AVG to correct this false positive that some of our users are experiencing. 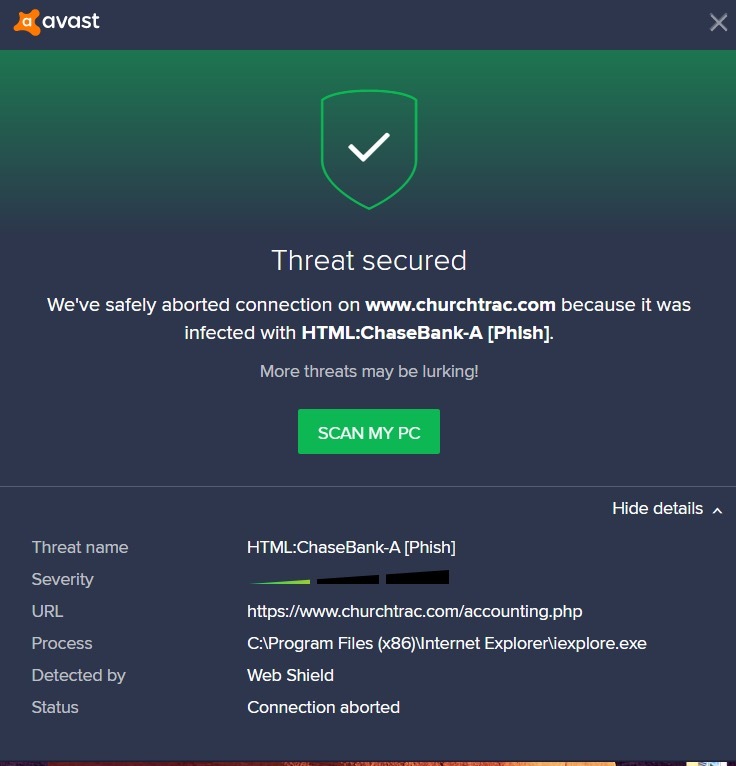 In the meantime, you can whitelist our site on your antivirus program to properly use ChurchTrac. Uninstalling your antivirus software will also solve this issue (though we do recommend you still have some sort of reputable antivirus software installed in its place). As always, you can go to www.churchtrac.com/support to create a support ticket if you need any further help.